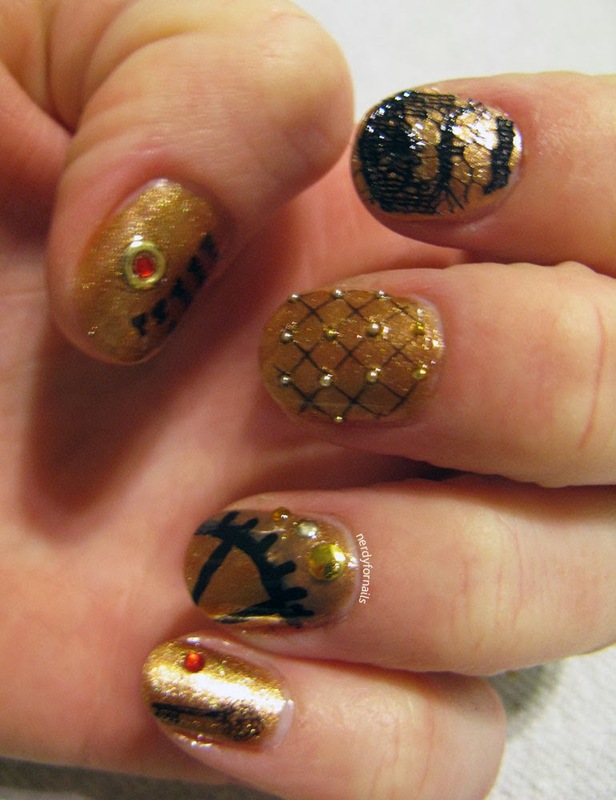 I know, these are the least Halloweeny nails ever. This past weekend my friend Anna had an early Halloween dress up birthday party. 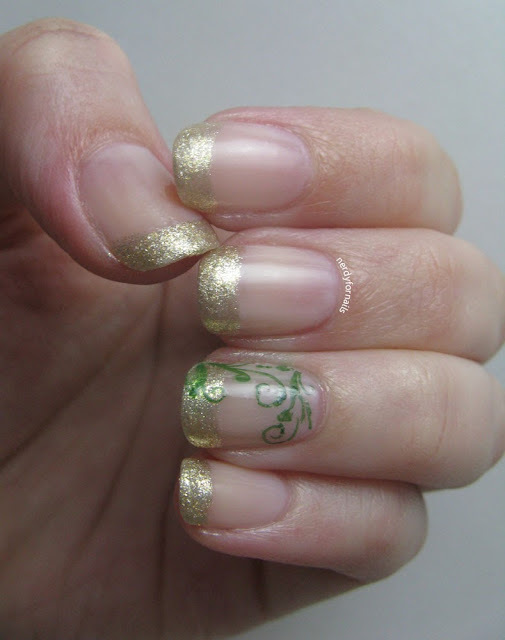 I dug into my closet-o-costumes and pulled out my green renaissance dress and did these nails to match. I scoured Facebook for photos of us all in our costumes but there were only two to be found. I was making silly faces and the birthday girl had already changed into pajamas. 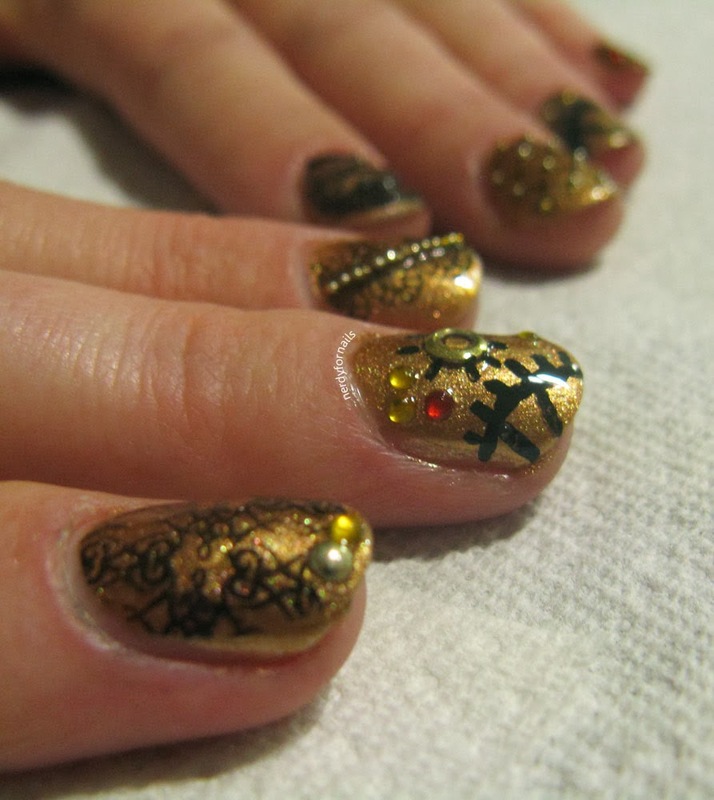 I really wanted to show you all some pictures of the nails with the costumes too. What is the world coming to when Facebook isn't plastered with party pictures the next day? Is this what it means to be an "adult"? I've got on two coats of Wet n Wild Megalast, 2% Milk. 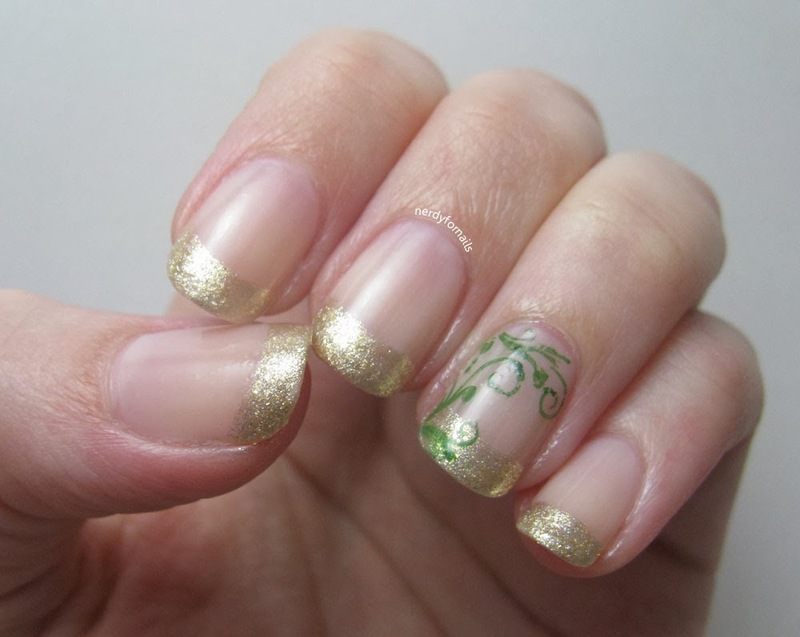 The tips were free handed using LA Colors, Deluxe. 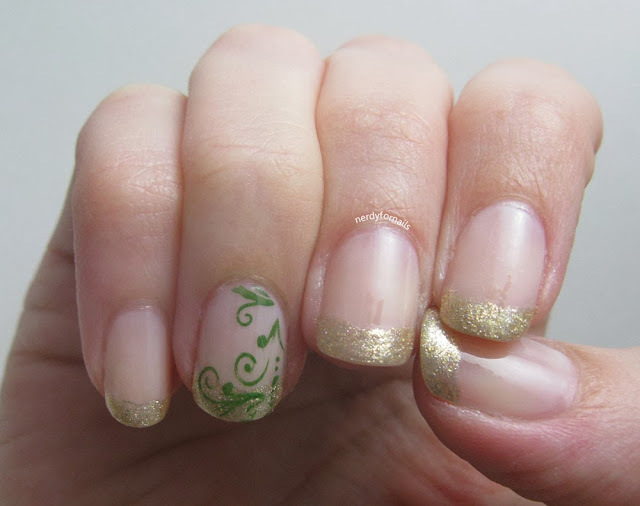 I used China Glaze, Holly-Day and plate BM-314 for the swirls. 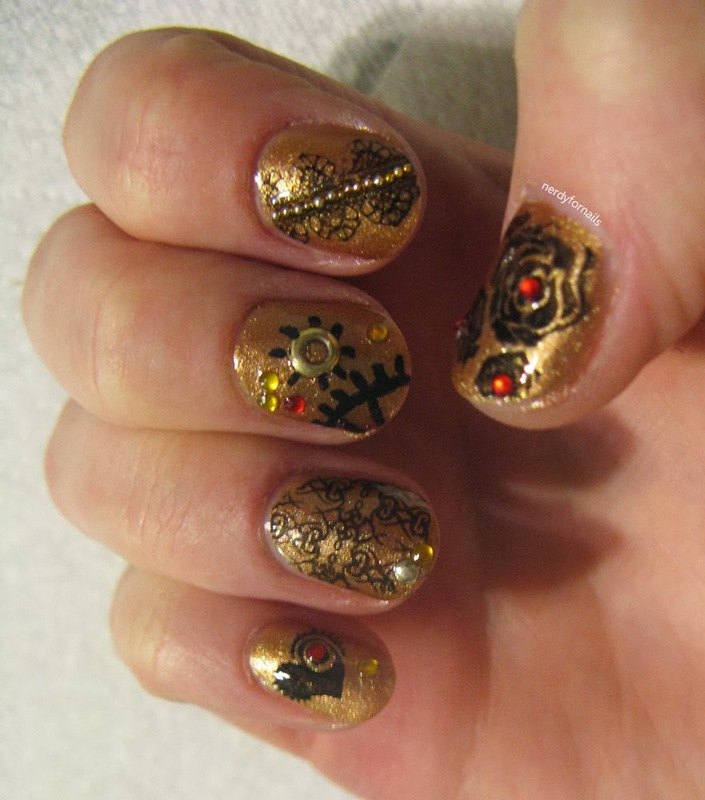 I did Anna's nails as well to match her steampunk costume. This is Zoya, Richelle with stamping, studs and rhinestones as accents.